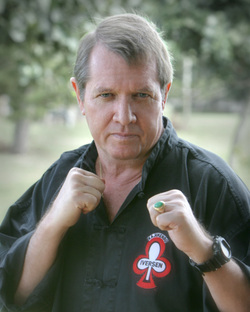 Grandmaster George W. Iversen is the founder of Hawaiian Kajukenbo Association. He had devoted over thirty-five years as a Kajukenbo student and teacher. He developed the most effective method of teaching and passing on the greatest lessons in martial arts, as taught by masters such as: Adriano Emperado, Sid Asuncion, James Mitose, William Chow, Henry Okazaki, and Bing Fai Lau. George W. Iversen received his black belt from the man he called "Chief", his original teacher, Sid Asuncion, a first generation black belt from Sijo. Some of Sids other notable black belts are Al Dela Cruz of KSDI, Al Dacascos, founder of Won Hop Kwuen Do, and L.A.P.D Martial Arts Consultant Richard Bustillo. A personal milestone was reached at the 1999 International Kajukenbo Self Defense Institute Tournament and Seminar in Las Vegas, when Professor Iversen was honored with the title of "Grand Master" and awarded his Ninth Degree black belt, by the founder of Kajukenbo, Sijo Adriano Emperado. Always a student, Grandmaster Iversen was widely recognized for his innovative, cutting edge, methods of passing on the lessons he had learned through people like Bing Fai Lau. He held the distinction of being Bings last student before he passed away at the age of 99. Sifu Lau taught him the Yang style Tai Chi. At the time of his passing, Sifu Lau was the last living black belt of Henry S. Okazaki. He was truly a living legend; a man of the greatest humility. There are a few people who have the knowledge and insight to break down the mechanics of free style sparring like Won Hop Kuen Do¹s Grand Master and Founder Al Dacascos, whom Sifu spent many years training with under Sid Asuncion, and who had done numerous seminars for Hawaiian Kajukenbo Association over the last thirty years. Shihan Tony Troche had done seminars at the school, teaching the elite katas of Shotokan, Sifu's favorite traditional karate style. Visit the dojo and you will see students performing Shotokan favorites such as Hangetsu, Empi, Unsu, and Ba Sai Dai. One of Sifu's dearest friends, the late Ed Parker, shared his knowledge of kenpo, and life in general, on many occasions, for which we are eternally greatfull. Like every one else, we miss him dearly. Sifu was invited to conduct seminars at Hawaiian Kajukenbo Association schools in Guatemala, Honduras, Costa Rica, and Chile. Sifu George Iversen was a great man, and he changed the lives of all who knew him. 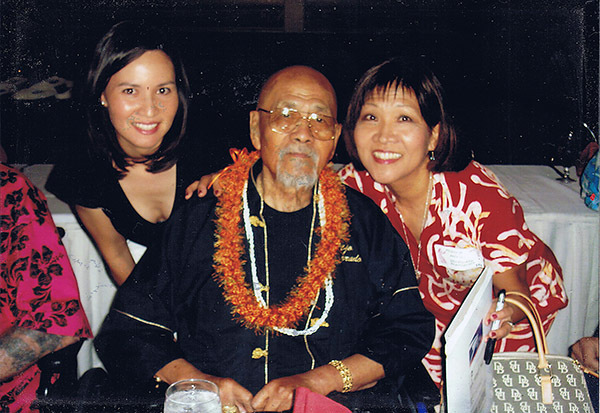 Sifu George will be greatly missed, but his legacy lives on through the Iversen Hawaiian Kajukenbo Association. If you would like to find out how Hawaiian Kajukenbo Association can help you or your child keep in shape, and get the most out of life, contact Simu Jane Iversen. It may be the contact that leads to a healthier, safer, happier, and more productive life. (L to Right) Sifu Erika Ruiz (Chief Instructor HKA, Daughter of GM G.Iversen & Simu Jane Iversen), Sijo Adriano Emperado (Founder of Kajukenbo), Simu Jane Iversen (wife of GM G.Iversen).